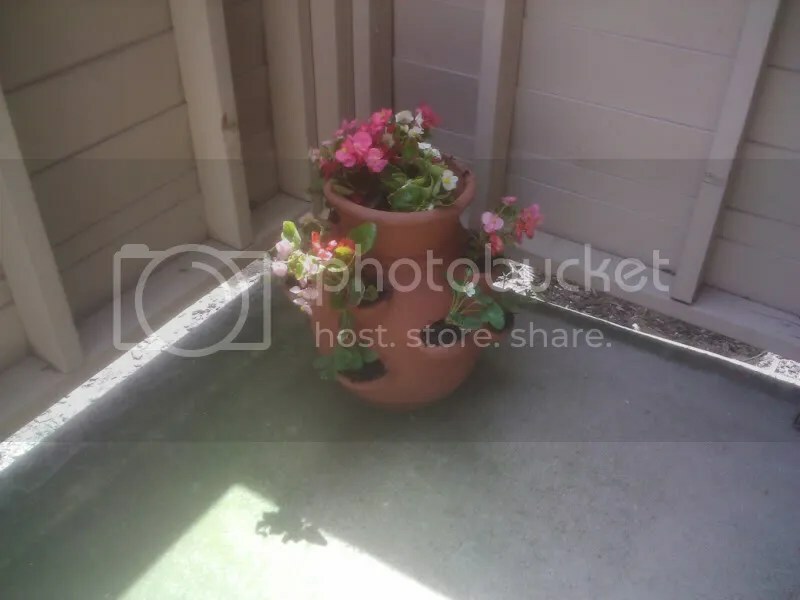 Today I had a rare Sunday free from work and with beautiful weather and heat reaching into the ’80s, my wife and I decided it was time we increased our plant population (which was a pathetically growing rosemary plant) to give our patio some color. We headed over to Green Acres nursery, which was huge and wonderfully laid out with a huge selection of just about everything that relates to gardening (be it indoor or outdoor). It was like walking through a field of great smelling and colorful flowers. Yesterday we picked up some potted strawberries and tomatoes from Whole Foods for a great deal. And at Green Acres we picked up begonias, catnip, a strawberry growing pot and a cute red pot for the catnip, as well as some necessary gardening supplies. And now our patio has plant life and color, and eventually will have (hopefully) blossoming tomatoes and strawberries. 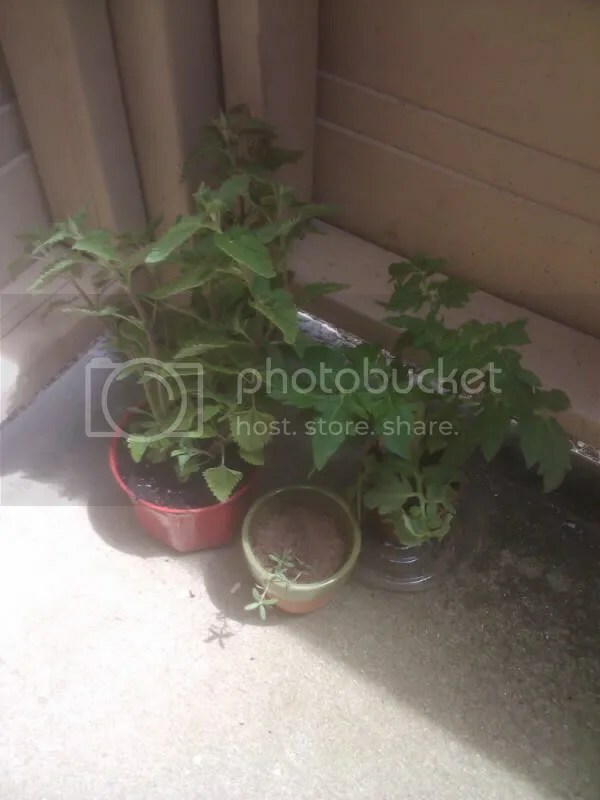 In the left corner we have the catnip on the left, the tomatoes on the right (which will need eventual transplanting) and said sad rosemary in the middle. 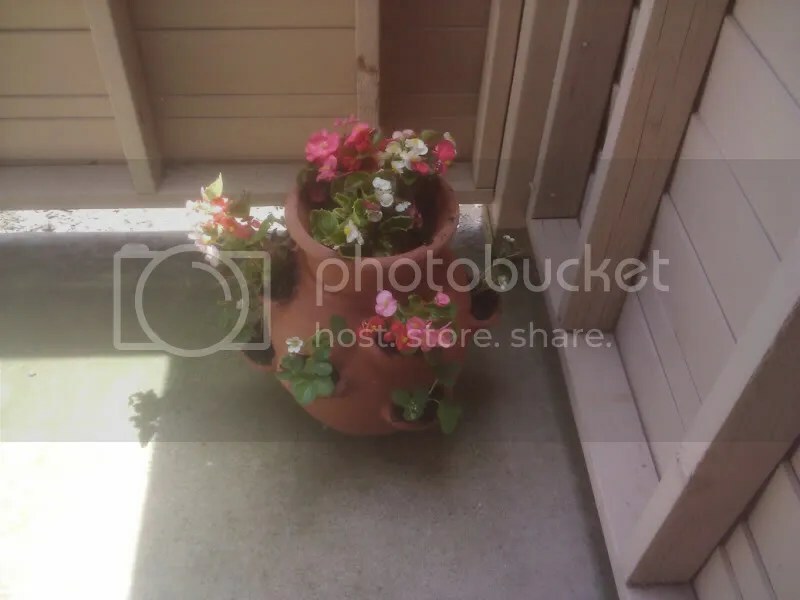 And in the right corner we have the pretty pot with the begonias and strawberries. And another angle of the pretty flowers.